Upgrade Sage 50: Is your Sage 50 system due an upgrade? Do you feel like you're not getting the most out of your Sage 50cloud system? Are you unsure if you've outgrown the system or if it is time for a Sage 50 upgrade? You may be due a Sage 50 upgrade! 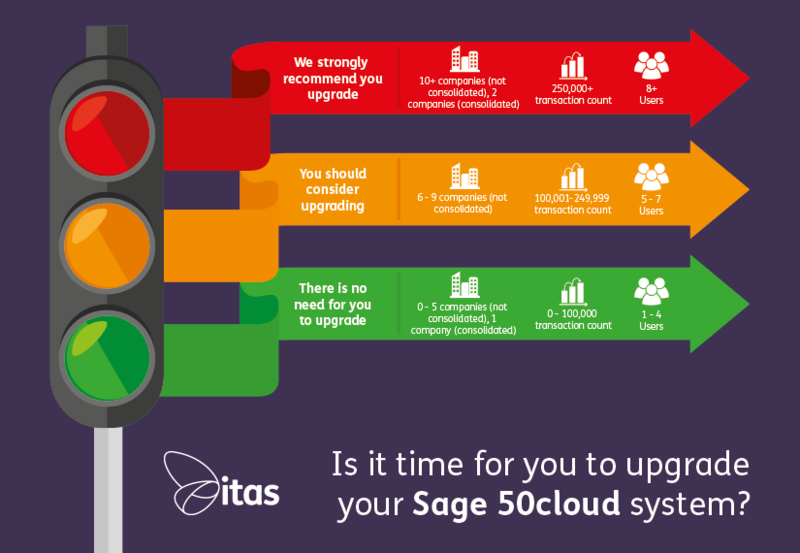 Use our Sage 50 upgrade infographic to get an understanding on whether it is time for you to upgrade your accounting system. Once you've completed it, we have solutions to the three different infographics outcome below. If you scored green/yellow on the infographic above, your Sage 50 system may currently be right for you however, you may not be getting the most out of it. 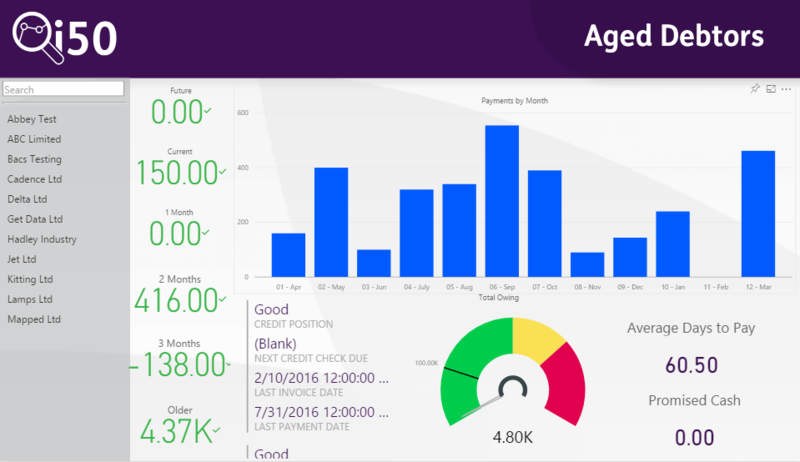 i50 is a Microsoft Power BI connector allowing you to access real-time analytics with a range of reports and dashboards from wherever you are. You can not only view the analytics on desktop but also mobile devices and tablets, on the go using the Power BI mobile app. You can use i50 to track anything from, late payments, stock levels, profits, targets and staff performance levels. Upgrading can be a daunting thought, but ITAS have many years experience in smoothing the way for our clients. We aim to make the experience as painless as possible for you! Use the contact form to request more information about your Sage 50 upgrade options.